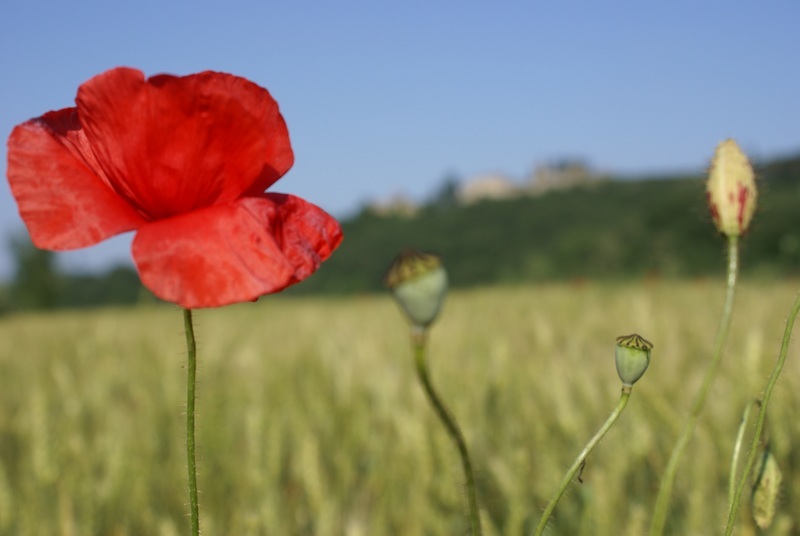 Connections and impressions from Assisi – Earthlimited | Earth Limited? For the last week we have been enjoying the beauty of Umbria. At the same time my hope of connecting with some people in the valley we are staying in was realized. The first few days here we were finding our feet, me still getting used to driving on the right side of the road, finding local supermarkets and so on. In between I managed to make some good connections. With the help of a young Italian couple staying in the apartment next to ours I managed to talk to Guiseppe, the co-owner of La Casella Marilena where we are staying, about my interests. He then connected me with a local woman, Katharina. Through Katharina we met Alfredo and Christine, a couple who own a 100 ha organic farm and a restaurant in the hills here. Last night we had dinner at their lovely restaurant and talked about our journey and my work. They were very interested. It emerged that they are part of a group of people who moved to this valley in the 1970s and have been working over a long period of time on environmental issues. Their networking activities are on-going. 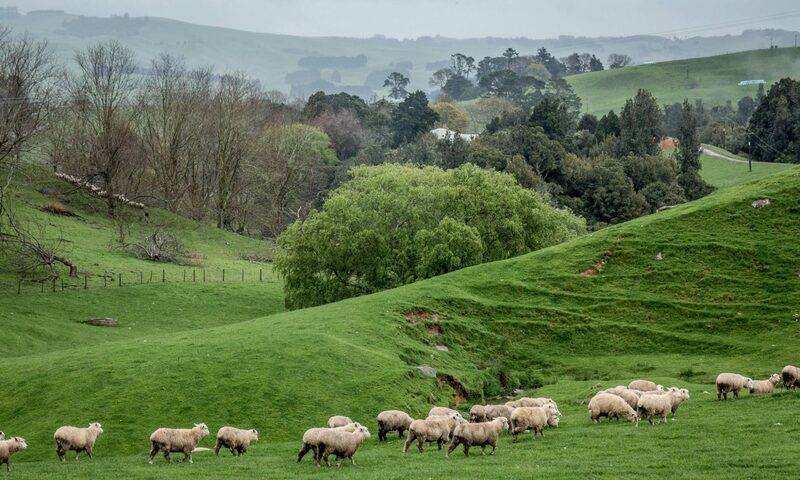 The challenge they have had is being seen as outsiders by the long-standing local farmers and community. However, over time, they have worked to make connections and try and influence positive changes with the community. I see a real opportunity to help facilitate stronger connections and interactions. Now is the time for this to happen, as we’ve seen and heard in every place we’ve visited so far on this journey. Reading this reminded me of a movie I saw about 32 years ago, about the life of St Francis “Brother Sun, Sister Moon”. This movie made a very big impression on a then 16 year old. What moved me most in the Basilica was the Giotti painting of “The Sermon to the Birds”. We walked from the Basilica to the highest point in Assisi for a beautiful view over the village and surrounding countryside. 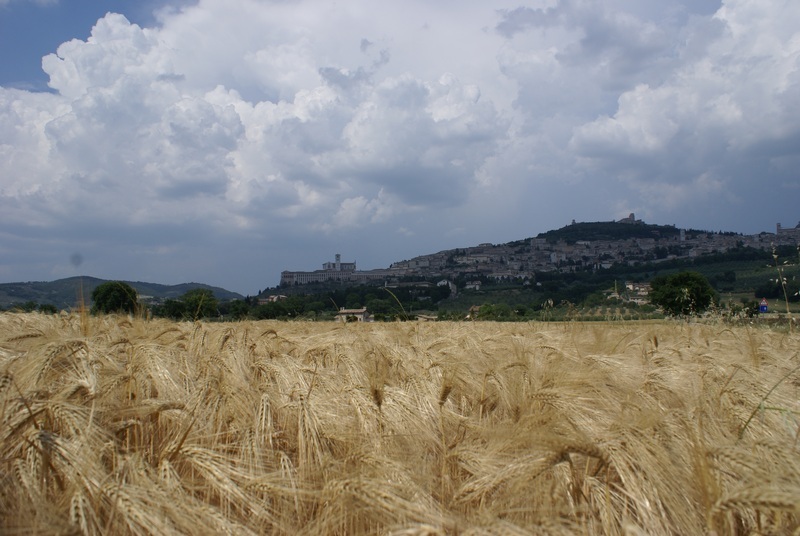 As we left Assisi I was captured by images of field and sky, with Assisi and the Basilica in between. And then a sign to the Sanctuary of Rivotorto caught my eye. This is named the ‘hovel of St Francis’ where the first Franciscan community was briefly housed … the humble, simple dwelling now overwhelmed by the church of Rivotorto. 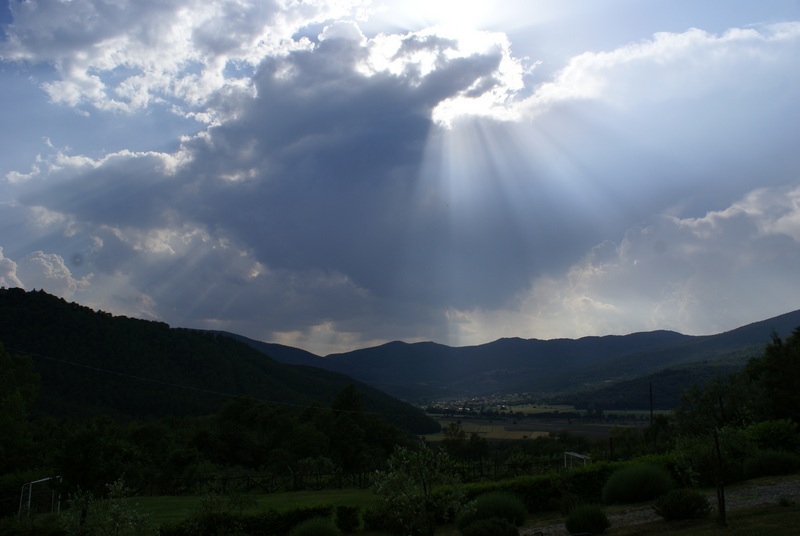 On our return to the commune of Lisciano Niccone we drove into a thunderstorm and then beautiful scenes of sun radiating through clouds over the nearby village of Mercatale.